Arts Muse Magazine had the chance to review a few short films that are eligible to be considered for a 2019 Academy Award in the Live Action Short Category. These are the films you would want to keep an eye out for this year. Bismillah is an Italian subtitled short film which was written, produced and directed by the incredibly talented Alessandro Grande, winner of the David di Donatello Award 2018 for Best Short Film. This complex and piercing film focuses on a 10-year-old Tunisian girl Samira who’s living illegally in Italy with her father and her 17-year-old brother Jamil. When Jamil begins to suffer from great pain, she has to rely on a local woman for help but Samira realizes that she is facing a problem that is just too big for her. Linda Mresy is powerful as Samira; she does extremely well in showcasing her range of emotions. From feeling overwhelmed with the high level of responsibility she has to deal with to becoming determined of making sure her brother gets the proper care that he needs. She honestly is a true warrior in this. 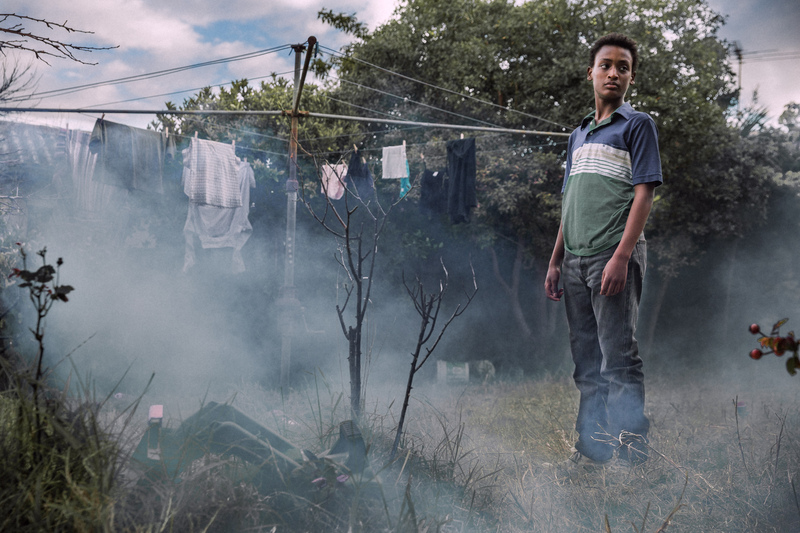 Alessandro Grande did an amazing job capturing the migrant crisis in Europe. Bismillah is a film that everyone should see. Coyote is an animated short film directed by Lorenz Wunderle and produced by Ramon Schoch, the ultimate dream team. Coyote focuses on a coyote who is grieving the loss of his family when they are attacked by a group of wolves and goes on a hunt for the ultimate revenge. 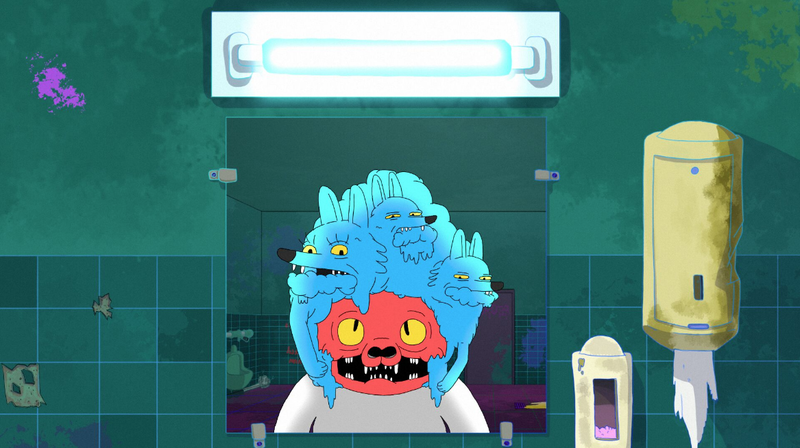 You are honestly taken on a journey in this post-psychedelic animation. With Lorenz taking inspiration for his childhood shows such as Tom and Jerry, the Looney Tunes, Animaniacs, Pinky and the Brain, Akira, and Ghost in the Shell, coyote may not be the best animations for children but it is perfect for us adults! With the bright colours and the dreamy musical numbers, you find yourself truly immersed in this animation. A fantastic piece of film. 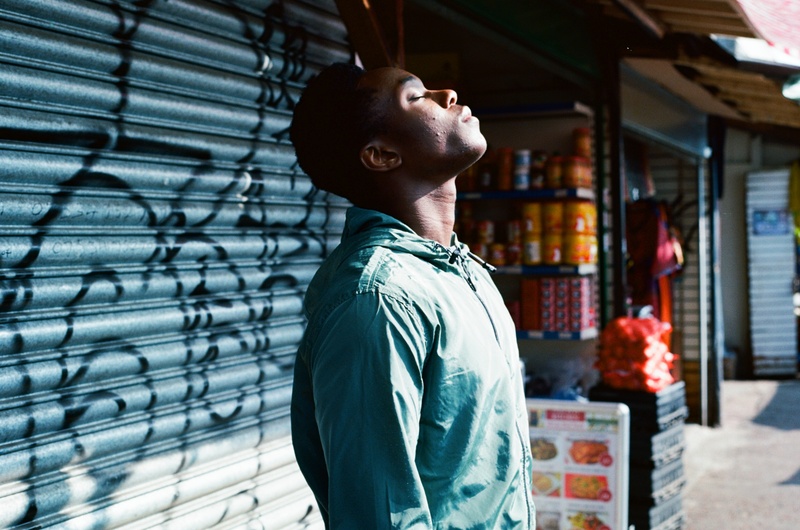 Wale is a powerful short film directed by Barnaby Blackburn, which focuses on the discrimination and racism people still face in society today. Wale is an 18-year-old youth offender who comes out of prison and tries to better his life by looking for a job as a mechanic. When he meets a man who immediately hires him on the spot, Wale finally believes luck is on his side, that is until Wale makes a gruesome discovery in the back of that man’s car boot. Wale gives us a great insight into the hardships what criminals go through. Although judges tell them to better their lives and look for jobs once they are released, due to how society sees, labels and treats them, things aren’t always as easy as they sound. Newcomer Raphel Famotibe is powerful as Wale and Barnaby’s use of different camera techniques definitely adds to the intensity of emotions in certain scenes. An absolute knockout. Marguerite is a stunning film directed by Marianne Farley. 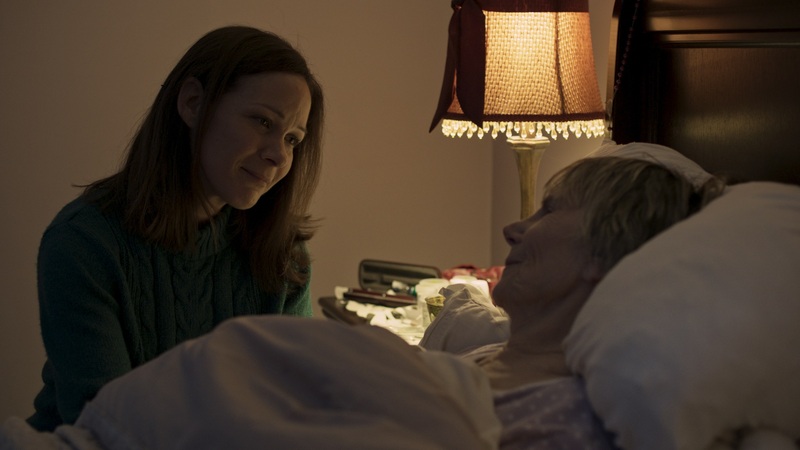 Marguerite focuses on a relationship between two women, an elderly woman called Marguerite (portrayed by the legendary Béatrice Picard) whose health is failing her and her carer, Rachel ( portrayed by Sandrine Bisson). Once they begin to confide in one another about personal matters, they realize they have more in common than they would have ever imagined. Beatrice and Sandrine have such an amazing chemistry on screen, you witness a true friendship forming right before your eyes. A truly touching film which celebrates all kinds of love, it is easy to see why this film won Best Live Action Short at the Rhode Island International Film Festival. This is a film that the whole world needs to see. We will definitely be keeping a look out for Marianne Farley’s upcoming projects. 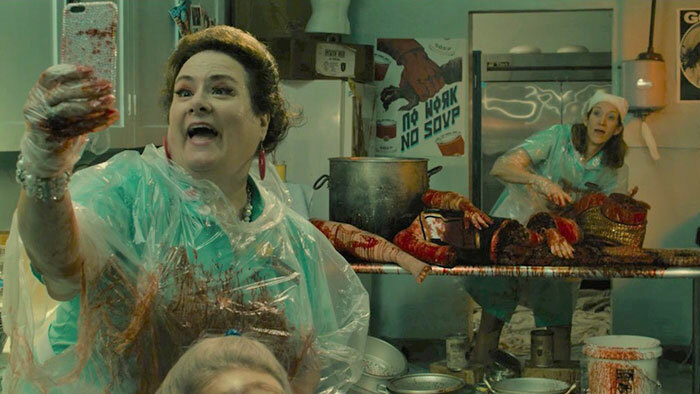 Lunch Ladies, a story written and produced by Clarissa Jacobson and directed by J.M Logan tells the story of two lunch ladies called Seretta and LouAnne who are on a mission to become Johnny Depp’s personal chefs. They receive a letter from Johnny Depp when their burger recipe is the recipient of a culinary award with the prize being his personal chef at a concert he is performing at. However, the plane fare is not included in the prize. With the plane fare not being included in the prize and with the school principal threatening to fire them if they don’t provide food that lives up to the school’s potential, trying to get the money for the tickets isn’t as easy as it sounds. Mary Manofsky and Donna Pieroni are perfect for the roles of LouAnne and Serettea as they take you on a journey filled with comedic laughs. They have the perfect chemistry on screen, They don’t only present a lifelong friendship but there is also real sisterhood there. Their loyalty reminds us of the loyalty between Thelma and Louise, they have each other’s backs when the going gets tough. A perfect girls-night-in film! 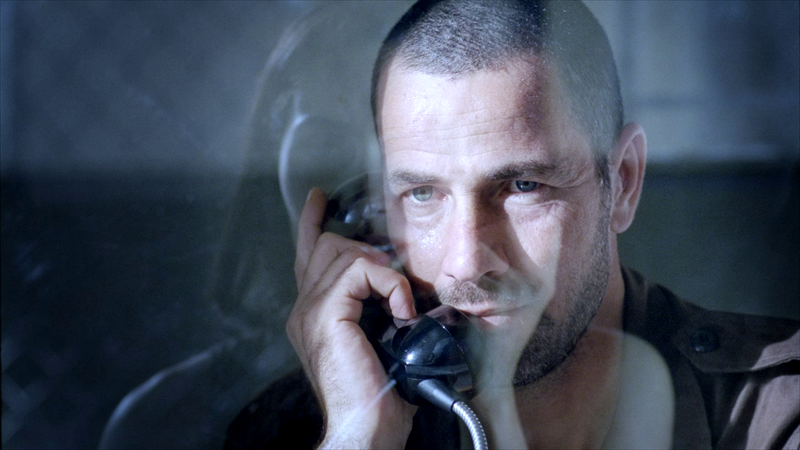 Bonboné is a very striking film, which not only entertains you but also brings awareness to sperm smuggling. Bonboné, which was directed by Rakan Mayasi, focuses on a Palestinian couple who have to resort to drastic measures to have a baby as the husband is imprisoned in an Israeli jail. Saleh Bakri and Raya Meddine both star as a loving couple who want to conceive a baby, by any means necessary. The whole film is incredibly insightful and it really does make you think. The editing, cinematography, production design, music are very persuasive and solid, contributing to the added quality of the film. Rakan has created something special here. Dear Chickens is a funny yet sweet story of an old man Emil and a teenage girl Nora who are forced to share a hospital room together. They start to develop a friendship once they realize they are going through the same thing. Emil is in the hospital due to his latest results from his cancer tests and Nora is awaiting her cancer treatment. Phillip Baker Hall is amazing as Emil, a fragile man who is forced to accept his fate and Kerris Dorsey is brilliant as Nora. Her standoffish personality makes her push everyone away. It is great to see her open up and develop a close friendship with Emil. 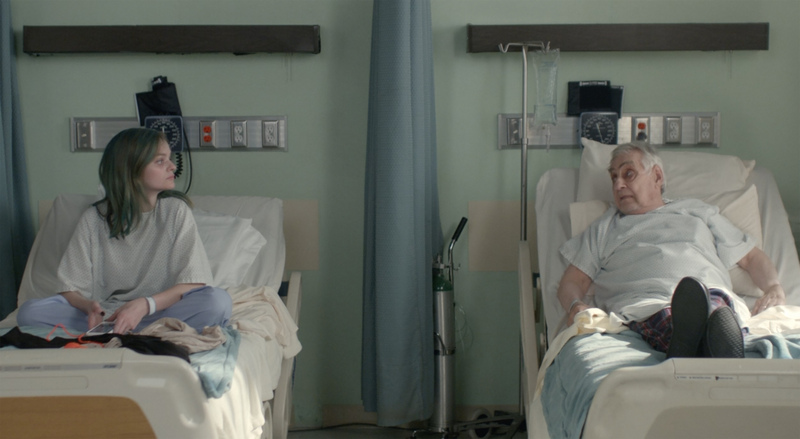 They bond over bad hospital food and their circumstances. He becomes not only a friend to but also a father figure as she has no family support. Dear Chickens is a beautiful short film which is packed with emotion. With a great cast and a wonderful message, this film will certainly move you to tears. 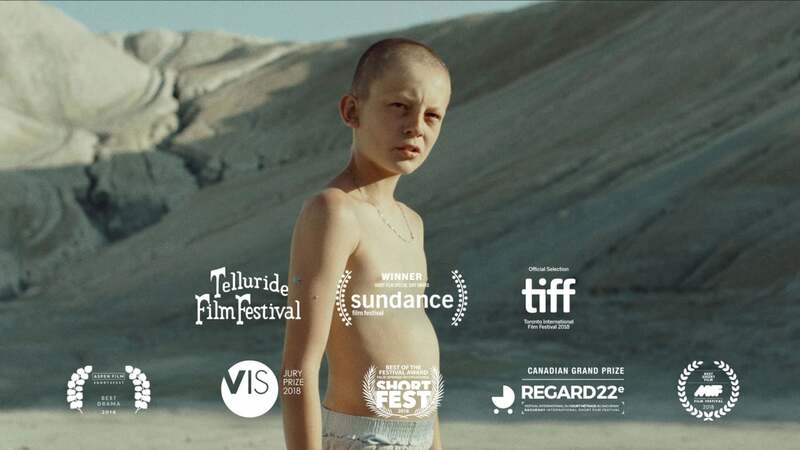 Fauve, written and directed by Jérémy Comte, is a short film which follows two boys who get into an innocent power game which intensifies into a life-threatening situation beyond both of their control. The performance of the two young boys (Félix Grenier and Alexandre Perreault) are tremendously sincere and powerful and the editing and cinematography are brilliant. The pace of certain scenes is compelling, it doesn’t allow the audience to take a second and breathe, a clever technique by Comte which allows the audience to connect with the characters on a more profound level. This is an emotional film that will have you at the edge of your seat the entire time. Two Strangers Who Meet Five Times is an insightful film which focuses on the topical issues of racism and homelessness. It centers around two men called Samir and Alistair. In the beginning, Alistair is waiting in line to use the cash machine and grows impatient when Samir takes a few minutes longer to get his money. Alistair gets angry and starts shouting abuse towards Samir. 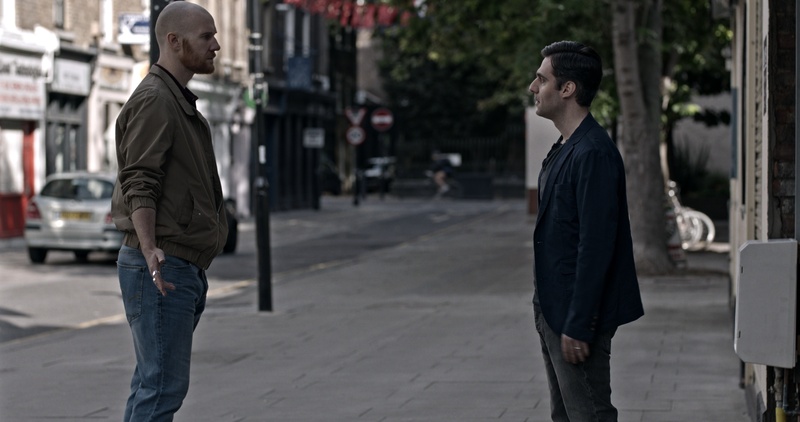 But the tables turn and the film reveals a twist, this isn’t the first time both Samir and Alistair have met each other. It is a film that speaks on reality as there have been times when we have bumped into someone in our past several times or bumped into someone that could possibly be in our future. The fact that the film is set in London shines a light on the harsh realities of racism and homelessness in London. Marcus Markou does a great job of showcasing the different times these two men have met in a very clever way and by including the topical issues, this makes Two Strangers Who Meet Five Times one of the most important films of 2018. Wren Boys is a BAFTA nominated and an OSCAR qualified film directed and written by Harry Lighton, co-written by John Fitzpatrick and produced by Sorcha Bacon. 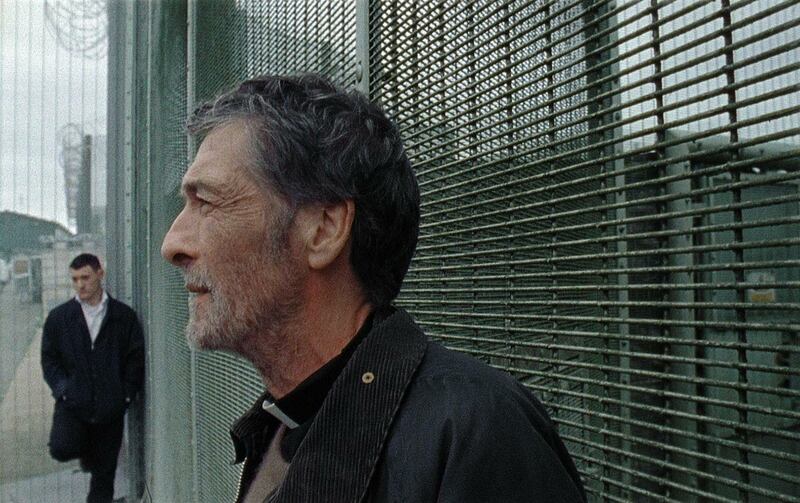 The film introduces you to a man named Conor (Lalor Roddy), an Irish priest, who reminiscences about his childhood, where he and his friends would take part in a tradition that involved killing a wren bird the day after Christmas, which is based on an old Irish tradition. Conor takes his nephew Seamus (Diarmuid Noyes) on a trip to prison to visit someone special and what unfolds after that will blow your mind. Wren Boys is a moving, sharp and beautiful story that twists and turns every single time you think you have this film figured out. The performances are first-class and the cinematography categorically helps to set the poignant tone with the realistic and gritty images. 10 out of 10! 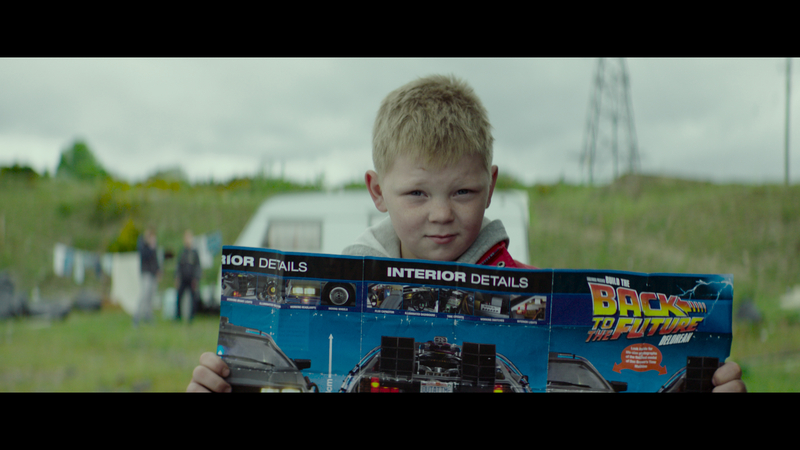 Time Traveller is a delightful film directed by the talented Steve Kenny and produced by the skilled Collie McCarthy. Time Traveller follows a young Irish traveller boy called Martin whose family home is in danger of being evicted from their halting site. In order to stop this from happening, Martin begins to build his own DeLorean replica so he can go back in time and stop this from happening. This film gives you feelings of nostalgia as it reminds of the great ‘Back to the Future’ films. Tom Doran is brilliant as Martin, you are blown away by his character and imagination as he is willing to do anything to save his family home. With the themes of family and love, this is honestly the perfect family film. Steve and Collie did a magnificent job with this one. 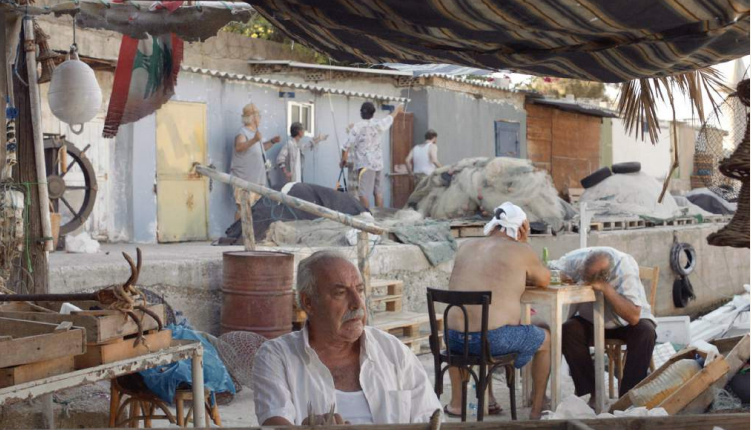 The President’s Visit by Lebanese director Cyril Aris tells a story about a humble man called Niño Fattoush who makes an honest living with his soap shop. One day, he receives an unexpected phone call that will change not only his life but his fellow neighbours lives forever. The president’s assistant calls him, saying that the president will be making a stop at his shop as he would like to feature his soaps for his cleansing campaign. One thing is for certain, Nino cannot tell anyone about the President’s visit. Nino desperately wants to make a great impression and vows to clean the image of his town but when people find out about the President’s visit (thanks to his uncle), people start to pretend to be him just so they can meet the President. This is a well-rounded film with an original plot. The cast carries the film beautifully throughout and you have a few laughs when Nino fights with his neighbours about falsely impersonating him. A heartwarming and funny film from Cyril Aris. Last but not least, All These Creatures is a film, which will definitely take you on a rollercoaster. Winner of the Short Film Palme D’or at Cannes Film Festival and having just won the Best Short Fiction Film Award at the AACTA Awards (Australian Academy Cinema Television Arts), All These Creatures which was directed by the immensely skilled Charles Williams, tells a story about an adolescent boy who struggles to come to terms with his father’s mental illness. A film which is raw, detailed, and packed with emotion, we can already see this film being nominated for the Oscars. From the impressive acting to the outstanding cinematography, Charles Williams does everything and more to make sure that this film continues to play on your mind after you have watched it. The most important film that we have seen to date.